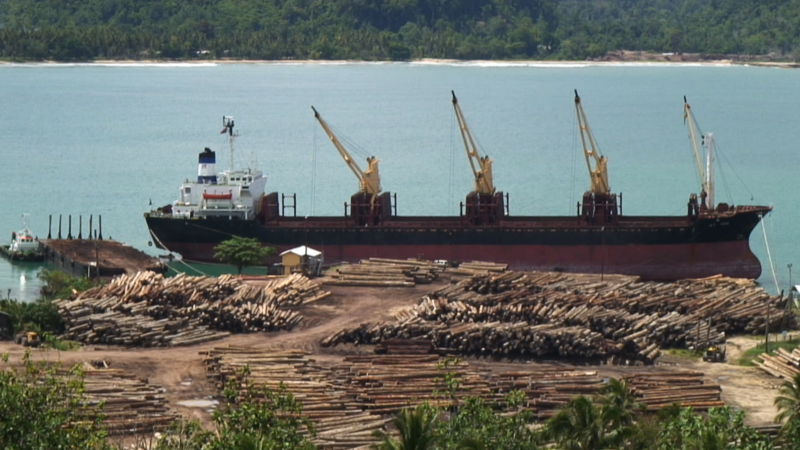 Bikpela Bagarap reveals the human face of logging in Papua New Guinea. The story is told through the voice of regular villagers, without narration. It is a tale of exploitation and broken promises, where local people are treated as second-rate citizens in their own country by Malaysian logging companies and corrupt politicians. Customary landowners are forced into signing documents they don’t understand, for the promise of “development” – fresh water, health and education, but these essential services are rarely provided. Instead, their traditional hunting ground is destroyed, waterways polluted, and their way of life ruined forever. Filmmaker David Fedele spent almost three months travelling solo in Sandaun Province, Papua New Guinea, in order to film Bikpela Bagarap. Based in Vanimo town, David travelled extensively into the jungle visiting local villages and exploring current and past logging operations. A lot of time was also spent in two of the main logging camps in Sandaun Province – Maka Basecamp and Amanab 56 Basecamp.